Just over the hill from Straiton is the Scottish Industrial Railway Centre at Dunaskin, Waterside. They’re getting fired up for the season and on Sunday 5th and Monday 6th April they will be welcoming visitors along to the first of their Steam Days. Run entirely by volunteers, Steam Days are a fun family day out, and offer a great opportunity for visitors to experience a ‘living museum’ where industrial steam and diesel locomotives can be seen working in an authentic setting. 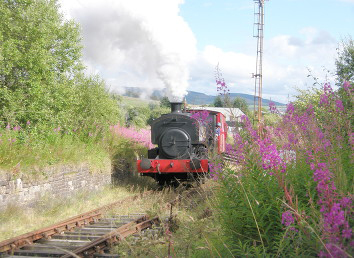 Enjoy a Brake Van ride on a short section of the Dalmellington Iron Company’s main line, view the locomotives, visit the model railway and check out the photographic archives. Opening times are 11am – 4.30pm (last admission 4pm). Adults £5, children under 16 £3, under 3 Free, Family (2 adults, 3 children) £13. They also have a shop, café and free parking for your convenience. 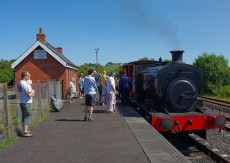 including dates throughout the summer when Steam Days will be held. This entry was posted in Uncategorized and tagged Dunaskin, Scottish Industrial Railway Centre, Steam Trains by VisitStraiton. Bookmark the permalink.